In 1960 a group of young rock musicians from Liverpool rolled into the seedy St.Pauli area of Hamburg to take up their gruelling residency as the house band of the Indra club, their look was uniformly American rock & roll: leather jackets, stovepipe jeans, suede boots & check shirts, one of the band had even carefully made himself a convincing doppleganger of James Dean. 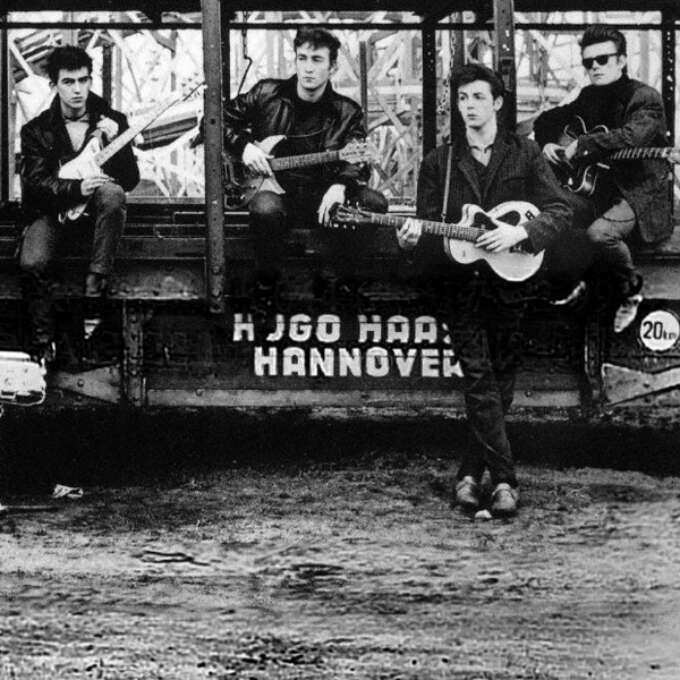 These young men were the embryonic 'Beatles' and their time in Hamburg would both define the band and it's future style. The satorial options available to post-war youth were pretty limited, between a combination of rationing that lasted years after conflicts end (and which extended to food and even furniture) and the massive destruction of European manufacturing, what clothing was available tended to be practical and hard wearing: Army surplus wool duffle coats, heavy shaker-stich or roll neck wool sweaters, suede crepe sole boots and workers shoes, and loose fitting chinos or slim American blue jeans. 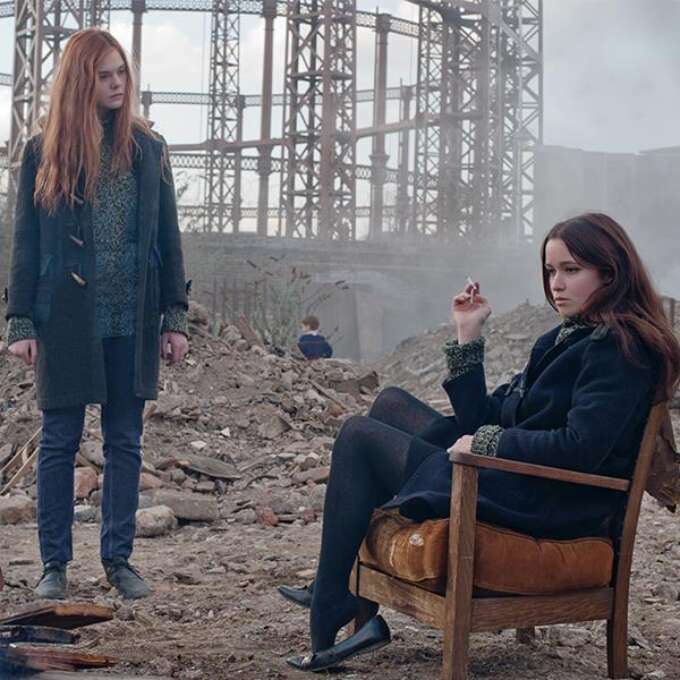 The British films 'Ginger & Rosa' & 'Nowhere Boy' capture this periods youth style well. 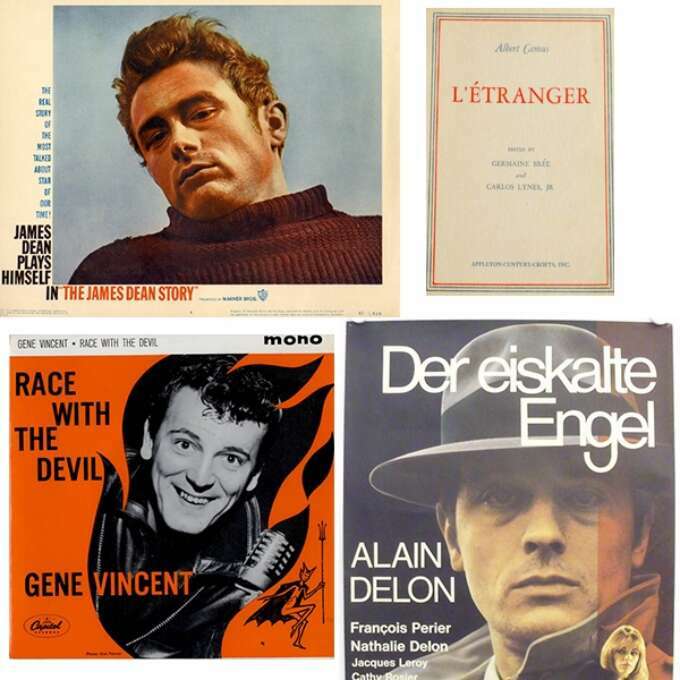 For those outside the mainstream it was the fringe output of American culture that held the greatest attraction: beatnik poetry, post-expressionist art, modern jazz. This was melded with the nihilistic outlook of French existentialism expressed visually with a combination of black turtleneck sweaters and gauloise cigarettes), Ed Van Der Elkson's classic “Love on the left bank” photographed in the mid 1950's captures this loose grouping in its natural habitat: grotty flats, Jazz clubs, cheap coffee shops and artists studios. The cultural diet of post-war European bohemia. It was a tamer, more middle class subset of this bohemia that The Beatles would encounter in Hamburg in 1960, The Exies: a group of art students who wore mostly black, cut their hair (both boys and girls) into shaggy 'Caeser' style cuts and combined their love of cheap rock n' roll with with that of Jazz, Existentialism and French film. Klaus Voorman, one such Art student, caught the Beatles speed fuelled set at the Indra club and encouraged his friends and girlfriend to go see them. After a being in the crowd for several nights the Exies got talking to the band and handsome James Dean-esque bassist Stu Sutfcliffe took up with Voorman's girlfriend Astrid Kircherr. 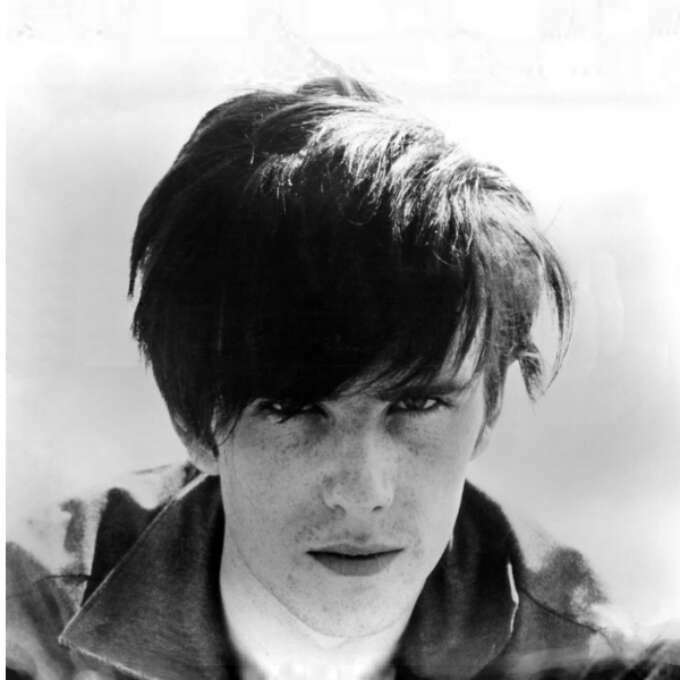 It was Kircherr who cut Sutcliffe's rocker pompadour into the popular student cut and though the other members of the band ridiculed him, it wasn't long before they had followed suit. 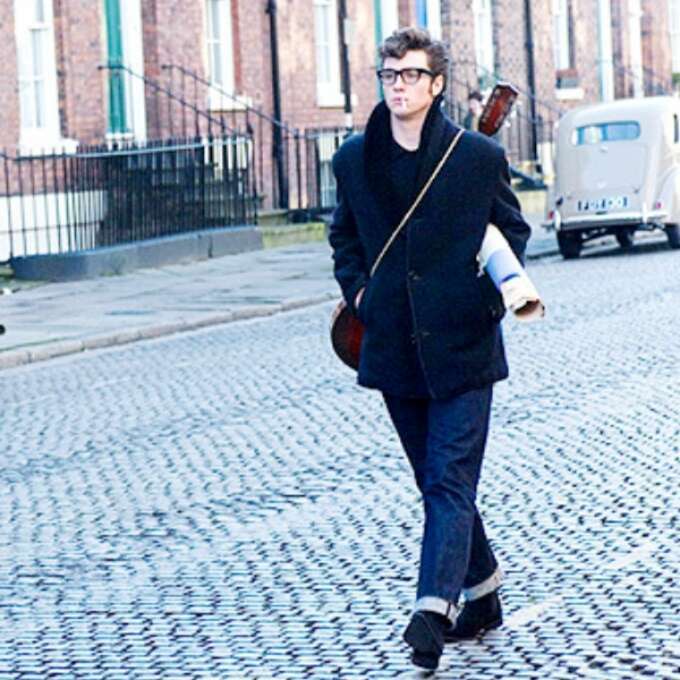 Stu Sutcliffe's newly cut 'Ceaser' style shot by Astrid Kircherr. The next evolution of The Beatles style came from a more predictable direction, London and in paticular the well-off clubbers that would be later christened 'Mods'. 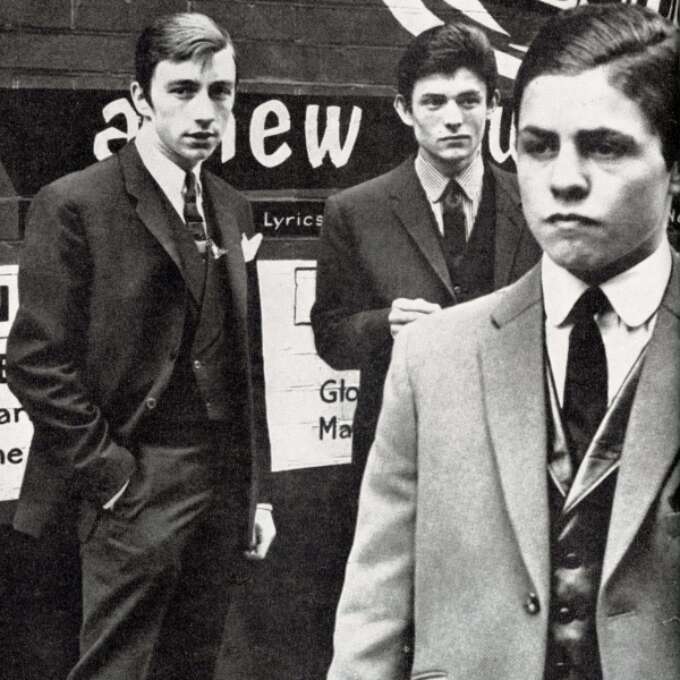 Mods were young office workers who spent their disposable income pursuing all things 'modern' which at the time extended to American jazz and soul music, existential novels & the French new Wave, and it was in this search European sophistication that the mods found their uniform: slim Italian suits as worn by French film stars. Early mods shot for Town magazine in 1962. When The Beatles returned from Hamburg in 1962, they caught the attention of record store owner Brian Epstein. Epstein became their famed manager and while he thought the bands music had potential, he was worried their rock and roll image was too rough for a mass audience and had the band adapt matching slim grey suits (influenced by the Mod look). Nothing was left visually of the American styled rock band that had left for Hamburg only a short time earlier, in their place stood a polished pop group ready to take over the world. The Beatles dominated pop culture for the remainder of the decade (and beyond) and while their style evolved over that period, countless bands & tastemakers would grow out their hair and don slim suits and the young men who looked both to America & Europe for their taste managed to make England the culture centre of the world.